Below is the description of the Bouillabaisse de Marseille class I will be doing for my friend Charlie Vollmer at Epicurian Exchange in Orinda next week, on November 5th. For those of you living in the San Francisco Bay Area, this would be a good opportunity for us to meet and enjoy a meal together. I’ll also be bringing some of my La Vie Rustic products for early holiday shopping. And, I’ll be talking about 3 new upcoming books. 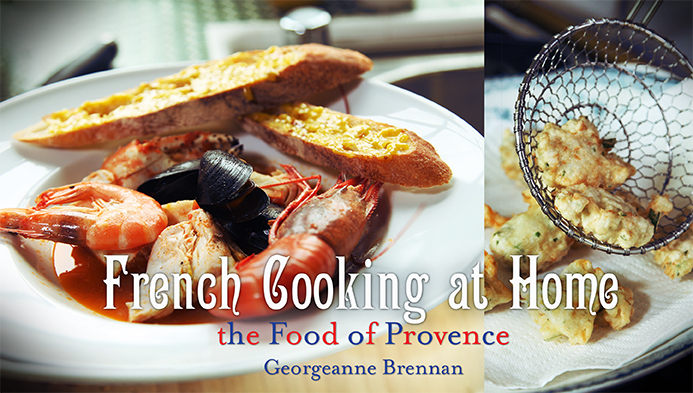 It’s a thrill to welcome back Georgeanne Brennan to the Epicurean Exchange kitchen for a hands-on fresh fish and seafood extravaganza – Bouillabaisse the Marseille Way. “This is the way I learned to make it from my neighbor in Provençe who was born and raised in Marseille. 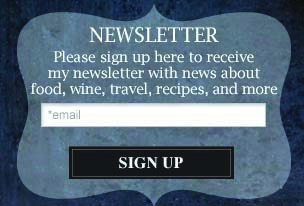 He loved good food and wine – and he knew a lot about both! We’ll make the essential fish stock from scratch using Pacific Coast fish carcasses, fennel, herbs, and spices. We’ll grind the spicy rouille sauce in mortar and pestle, clean fish, and learn how to layer them into a roiling, boiling broth for the perfect bouillabaise. We’ll serve it the Marseille Way, in 2 courses with white wine from nearby Cassis.